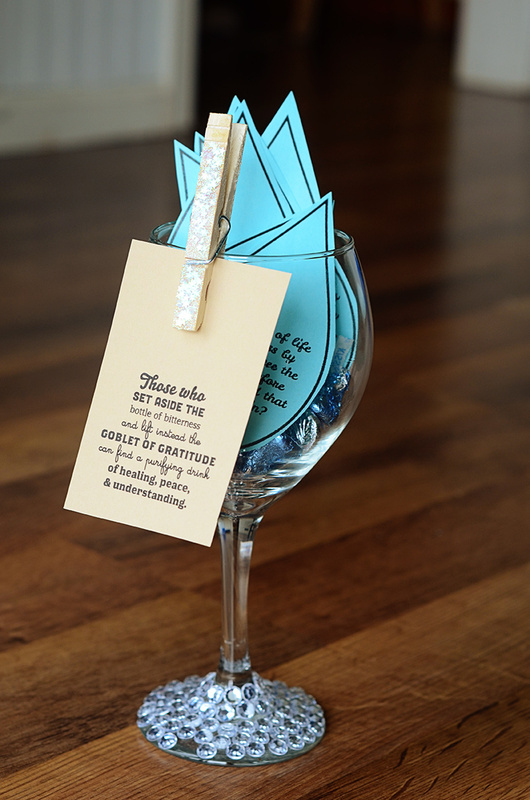 This is the Visiting Teaching message I’ll be sharing with my sisters in May – a goblet of gratitude – based on President Uchtodorf’s General Conference talk, “Grateful in any Circumstances”. I found some cheap (but wonderfully bedazzled ) goblets at the thrift store to hold the drops of insights President Uchtdorf shared about how to approach and cultivate deeply spiritual gratitude in our lives. I threw some chocolate in there as well – because – yum! 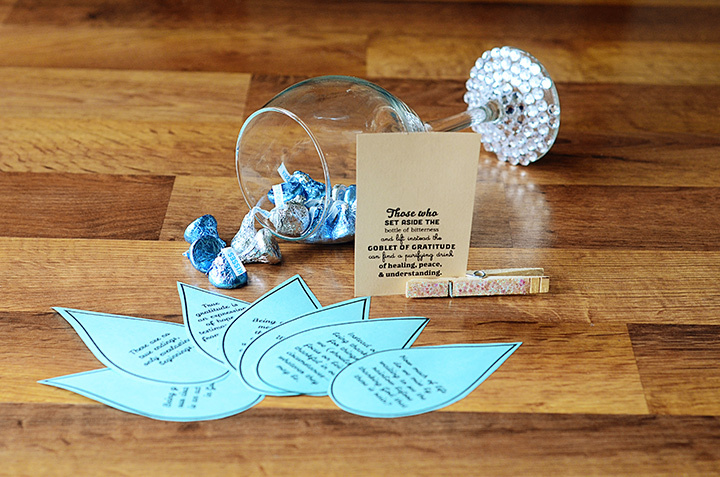 The clothespin that holds the card to the lip of the goblet is glitterized with mod podge and iridescent stars. You can download my printable here.